Now, I am not particularly a fan of spicy food (seriously, even hot cheetos make me cringe! I know, I am a wimp) but this recipe was really yummy and not too spicy for my taste! Here is another tasty recipe, courtesy of my friends Brent and Aaron, which tastes similar to the spicy chicken sandwich that Wendy's has.Very quick, easy, and deeeelish! 2. Mix the hot sauce, egg, and water in a bowl. 3. In a separate bowl, combine the flour, salt, cayenne pepper, black pepper, onion powder, paprika and garlic powder. 4. Pound each of the chicken pieces until about 3/8-inch thick. Trim if necessary to help it fit on the bun. For easy cleanup, place the chicken in a zip bag before pounding. 5. Dip each piece of chicken in the watered down pepper sauce mixture. 6. Coat each piece of chicken with the flour mixture. 7. Roll each piece of chicken in the watered down pepper sauce and egg mixture. 8. Coat the chicken again in the flour mixture and set it aside. Repeat for other fillets. 9. Place chicken on baking pan. 10. Bake the chicken in the oven for 20 minutes or until brown and crisp. 11. Place chicken on a bun and assemble sandwich with the toppings you like and serve. 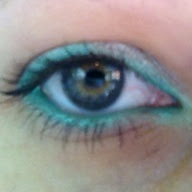 Here is a cool, summer look to try, and one of my personal favorites: teal eyeliner. Great for day makeup, or going out with the girls. Makes eyes look more "awake" also. 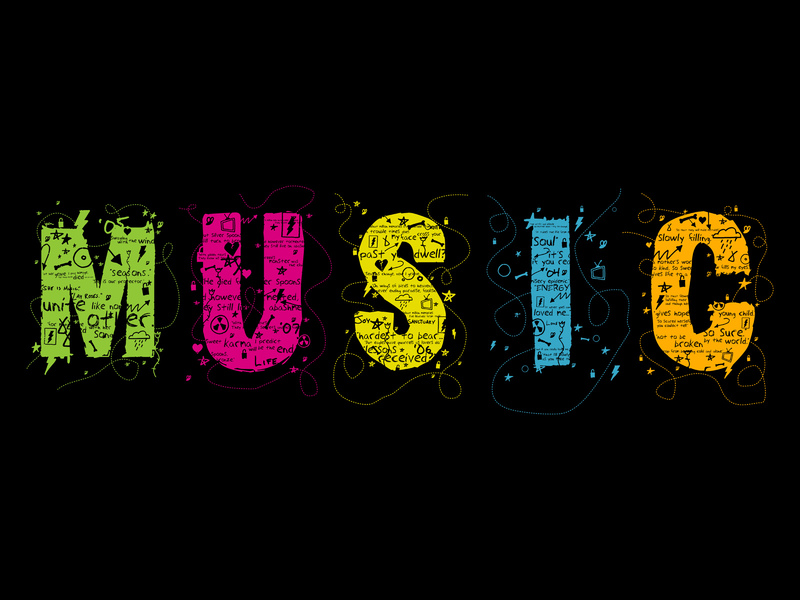 Music is amazing. The greatest thing about it is that it brings people together all over the world. I can attest to this first hand, having attended a global conference in which people from at least 120 countries were cutting a rug on the dance floor. Now, if only the U.N. could have a giant dance party, we might all be in a bit of a better state. Music is a universal language. There are some songs I absolutely love that aren't even in English, but I really like the vibe of them (Te Busque by Nelly Furtado (Spanish) and Complainte de la Butte by Rufus Wainwright (French)). If you haven't listened to songs in other languages, seriously...you're missing out. Do it! Music speaks volumes too. In itself, it is expression. There are so many songs that I connect with on an emotional level because I have heard them while out with a friend and associate that memory when I hear them, or they have helped me during a really rough time in my life. I don't write songs, but I am a bit of a playlist nerd, and like to make up all kinds of playlists just for fun: about family, about rain, about a break-up, about dancing, about love, even about blood. My iPod has well over 6,000 songs (probably more since I last checked!) I blow a lot of money on music on iTunes, because you simply can never have enough. I am always hearing songs that I'm like, huh, I don't have that one, but I remember hearing it and I like it! I have burned many a CD for loved ones, and dueted many a tune in the car with whoever is with me! I must confess that I have no musical talent whatsoever (well, I sing pretty all right, in the car, the shower, and at karaoke on the rare and drunken occasion), but I really respect and admire the people who do in fact sing or play a musical instrument (Guitar Hero does NOT count, people). I am even a little envious. I wish I would have taken up an instrument early in life--piano, violin, anything. I did take guitar lessons for a short year about 3 years ago, but now my acoustic guitar is rotting away in my closet, with the exception of seeing daylight when my sister totes it along to summer camp for 3 weeks to lull her campers to sleep. I have a very eclectic taste in music, and I think it's a good thing. I think that it definitely makes me relatable to many different types of people. I grew up mostly on classic rock and oldies, both of which I still love and listen to very frequently. I swear, I was born in the wrong generation. My dad loved the Beatles, the Doors, the Eagles, Journey, Boston, CCR, Queen, David Bowie, Pink Floyd, Yes, Supertramp, and so many more. My mom shared a very similar taste. My grandparents on both sides of the family loved country. I don't hate it, but it's not my first choice to listen to. And there are some really good country songs, don't get me wrong. My brother liked a lot of rock and metal also: Pantera, Metallica, AC/DC, and so on. My first ever concert was with my parents, and it was Styx (when Dennis DeYoung was still with them), followed by Sting (opened by Lyle Lovett---goofy guy!). As I grew up, I definitely listened to a lot of pop and top 40 music. I mean, you were weird if you didn't in grade school. I remember loving the Backstreet Boys, the Spice Girls, Britney Spears, and a lot of those one-hit wonder bands like Eagle Eye Cherry (Save Tonight) and Eiffel 65 (Blue--"I'm blue, da ba dee, da ba da..."). Hell, there have even been some Christian bands and singers I have liked and still do listen to (Matt Maher, Blessid Union of Souls). Many bands I really enjoy because a friend has turned me on to them, and I always think of that friend when I hear a song by that band. I am also strangely obsessed with Christmas music. Literally, I know every song that has even come out since the birth of Jesus H. Christ. I could seriously school anyone in Christmas song trivia. The same goes for Disney music (not Radio Disney crap, legit songs like "I Just Can't Wait to Be King," and "I'll Make a Man Out of You.") These days, I am learning to appreciate heavier stuff (metal), like Rammstein, Megadeath, AC/DC, Linkin Park. If I had to list my favorites, it's really hard to narrow it down to a select few. I really like singers who write their own songs and play instruments. My #1 would have to be Darren Hayes (if you haven't heard of him, you probably actually have...he was 1/2 of the Savage Garden duo and eventually went solo). The guy has a voice like an angel, and I buy every one of his albums. And no wonder, with inspirations like Michael Jackson and Freddie Mercury. I could write volumes about my love for him, but I will spare you. Seriously though, you should check out his newer stuff--it's a far cry from "Truly, Madly, Deeply." What are you favorites? What would you recommend that I listen to?